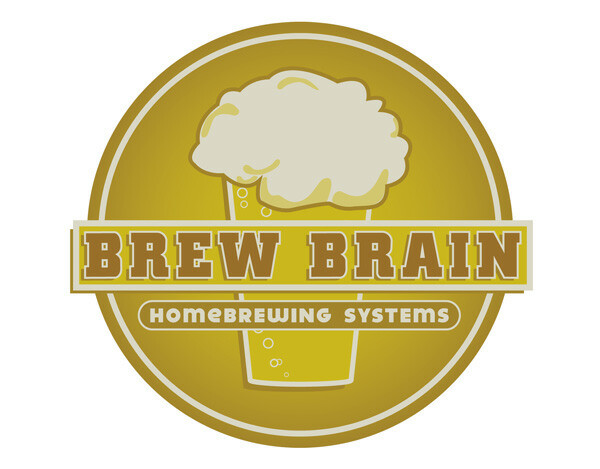 Brew Brain is an interactive kiosk that creates an intuitive and fun experience for the novice home brewer. Focusing heavily on straightforward, elementary design, my aim was to simplify the process of brewing (specifically, recipe creation) and make it appealing even to those who may have no interest in beer. 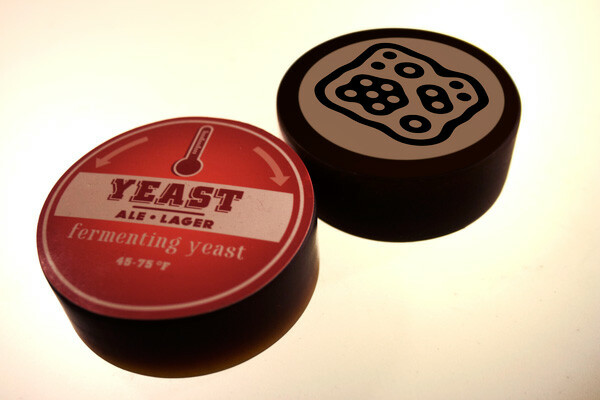 The system's unique interface is controlled by tangible objects called Brew Pucks. Each representing a different ingredient category (malt, hops, yeast, etc.) 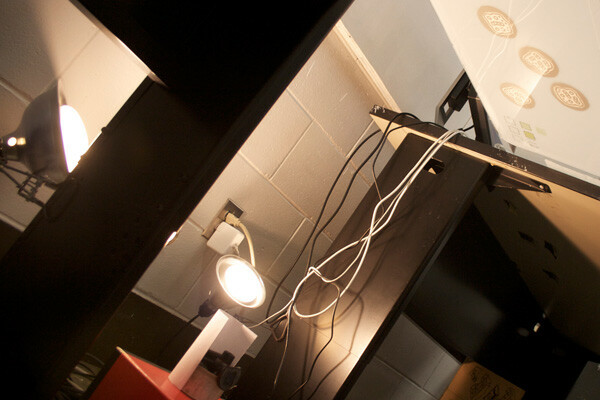 the user places the pucks onto the table where they are seen by a web camera and added to the interface. 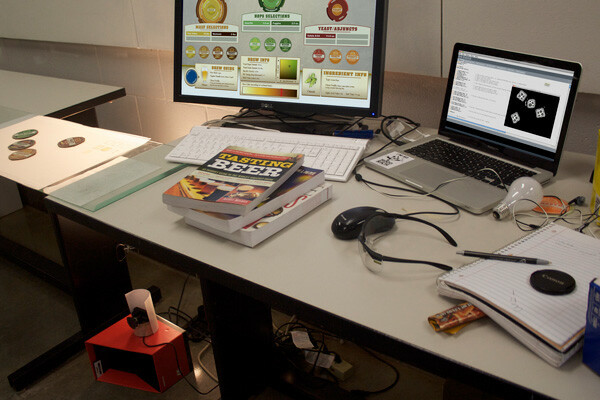 By simply rotating any given Brew Puck, the user is able to cycle through a library of ingredients exclusive to that puck and make a selection. 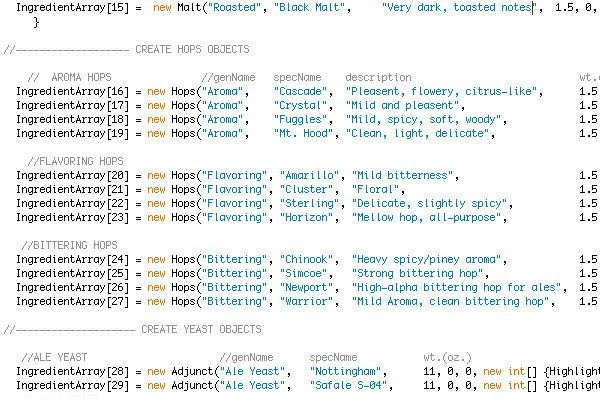 They continue to be added to the table until a complete recipe is built, while the interface constantly updates information about the brew being created i.e. 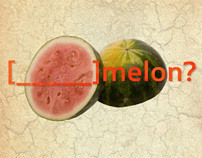 total ingredients, flavor profiles, etc. All screenshots show actual interface footage. A view of the system in its entirety. 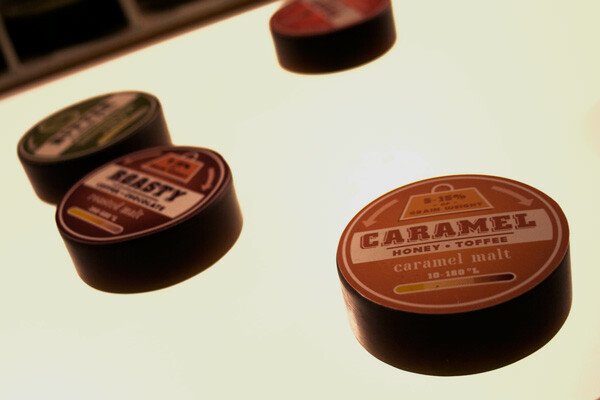 Each Brew Puck is fitted with an ID tag on the bottom. Using reacTIVision, specific attributes including ingredient type, position, rotation, etc. 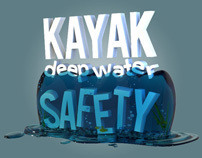 are recognized and passed on to Processing to control the interface. 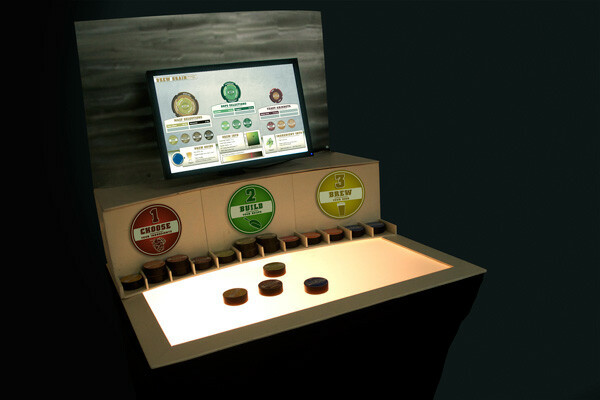 The interface allows the user to browse and select different ingredients (each represented by colored rings seen above), and helps to learn about the unique characteristics each brings to the recipe. 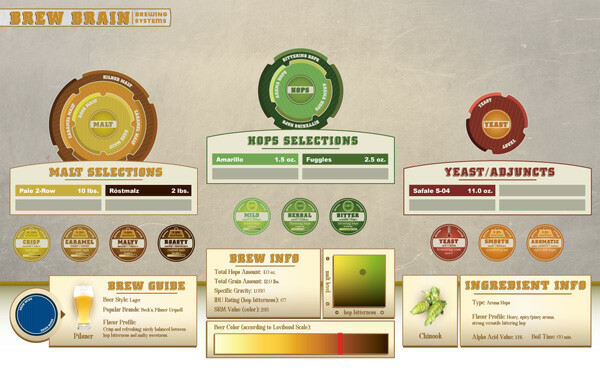 Information about specific ingredients and the overall brew is updated in real time. 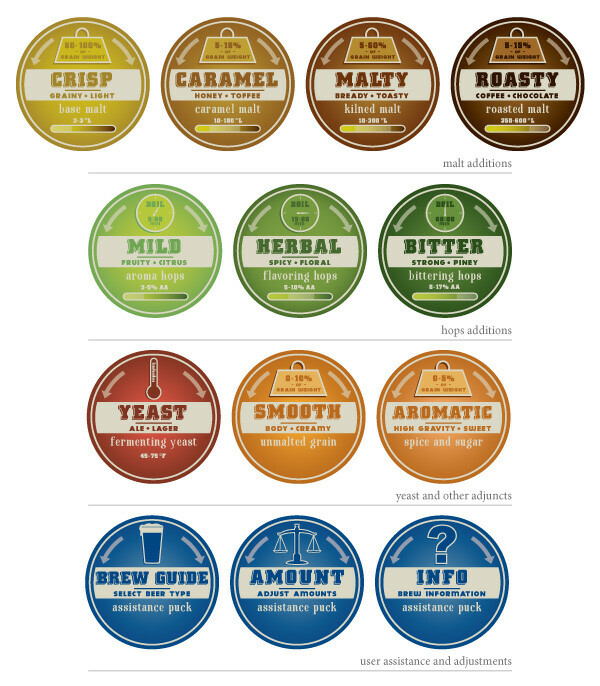 Using color variation, simple imagery, and common flavor descriptions, each puck label was designed with the goal of communicating to any user, ridding the misconception that brewing is best left to the professionals. Hard at work. This was my setup (AKA living quarters) while building and testing the interface. The web camera (Sony EyeToy) can be seen in the lower left focusing up at my makeshift table. This view shows what the camera sees from underneath. It senses each movement including x and y position, rotation, and most importantly, which pucks are currently on the table. A look at some of the object-oriented programming in the Processing environment. Each four-line block of code represents the information stored onto a single puck. Here's a glimpse at the evolution the pucks underwent. They started out as mere discs cut out of cardboard and were later cast using a plastic resin. Not only was it easy on the budget, but using an automotive fiberglass resin proved to be a quick and easy solution to create the pucks.